I come here to find out how my friend is going in the world. I don’t always have time to catch up at work or holidays as life just seems so busy all the time. I love seeing what you are up to and the things you write make me tink about things going on in my own busy life. I, like many others, just don’t think to comment! Perhaps this blog will make me think more about leaving my ‘piece of mind’ in cyberworld!!! I will try to comment more on the things that speak to me. Its funny how when we start out it truly is just for ourselves, but before long the desire to have people read and comment becomes very overwhelming. I hate the days that nobody reads, its very disheartening, but I just try not to look at the stats. I find Twitter SO hard… I just dont know how to find my place in that world and I mostly forget it exists. Glad I’m not the only one who finds twitter hard, I liken it to a school yard of sorts. I’ll keep plugging along, as I said, it’s my creative outlet. I’m glad you visit, and it’s cool that we have such a big thing in common! So location wise, I didn’t realise you & I were so close! You should come along to the next Melbourne bloggers dinner (we do them regularly, & it’s amazing & so fun to get together with a bunch of like-minded people). Keep plugging along. 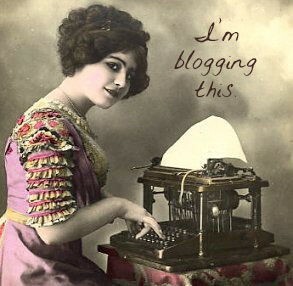 Blogging is fun, & don’t lose sight of the fun component. But I knew how you felt yesterday, because trust me … we’ve all been there! Glad I wasn’t alone in my feelings, but it was great that you along with others made me feel that I wasn’t alone! Would love to come to a catch-up, they do sound like loads of fun! And the world gets smaller and smaller the more I look at things. I only met Mrs ‘Four of Us” yesterday, but she seems lovely! Hi Bel, I ‘found’ you on Instagram, and am a new reader. I also have had my blog almost a year, and am having a bit of a blog existential crisis, not unlike the one mirrored off my blog! I just want you to know I agree with so much of what you wrote in this post. When I started my blog (inspired by others I had been reading) I had all these plans, and just havn’t done ‘anything’ really. I’ve come to realise that to be a big-name blog takes a massive injection of time and energy and I havn’t been able to devote it to my blog like I thought I would. Plus I lack graphic design skills. So, for now – I am stilling “doing it for me” – but I agree it is downheartening to keep plodding along some days. I think the biggest disappointment for me is that I had really hoped to find my mamatribe (hence the name of my blog). I hadn’t (and still havn’t) found them offline and was sure I would find like-minded people online to form friendships with, but not yet. Thanks Becks for visiting! I’m so glad to know I’m not alone, it really does make one feel better. I have so many hopes for this blog, but I wont let the dream die and neither should you! So please don’t stop…I don’t get to read as many books as I used to either, so my blog time is the best use of my available reading time…don’t deprive me of my reading!!! I’m in the habit of commenting, I have my times each day where I read blogs and comment, but I’m in that world I guess. We do have lots in common don’t we? And my camera, it is awesome, but anyone can take a good photo, it’s not the camera. 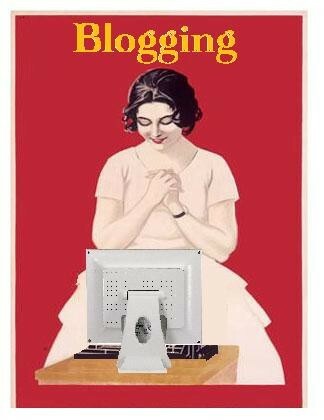 Keep on blogging Bel. You do a great job and I love to read what you have written. Combining your love of photography and writing is a beautiful thing to see. I hope you continue blogging for a long time as I appreciate getting to know you more each time I read your blog. That was a really nice post to read. I’ve only just started (after a five year hiatus) and i’m going through all the moves. I have plenty to write about and i think i’ve developed a niche. The one thing I find disheartening is when i post comments regularly on specific blogs and not once do they reciprocate. I don’t know if they’re meant to or not but I know that when they see my comments / visits they’d be happy so why not return the love? Keep going darl, you’re doing fine! Hi Bel, first time visitor and love what I’m reading. I’m a big Instagrammer so I’ll look you up and follow you there as well. We all have those days. Sometimes blogging seems like another schedule item to be adhered to and met. I’ve made some amazing friends from Blogging, so it’s all completely worth it in the scheme of those off days, and the times you think you’ve written a good post and yet nobody seems to notice. Anyway, I loved your post, and found you via FYBF. Congrats on your 1 year bloggiversary! Best of luck with your blogging future. I’ll be sure to pop in more often.